The booster club is an organization that is formed by to support an associated club, sports team, or organization. The booster club can support this by raising funds or coordinating events. Mrs. Torres is in charge of the school’s booster clubs and makes sure everything gets taken care of. They meet every Thursday after school to come up with ideas and put things together. High School is all about spirit and making memories last. This club helps created memories to last a lifetime. 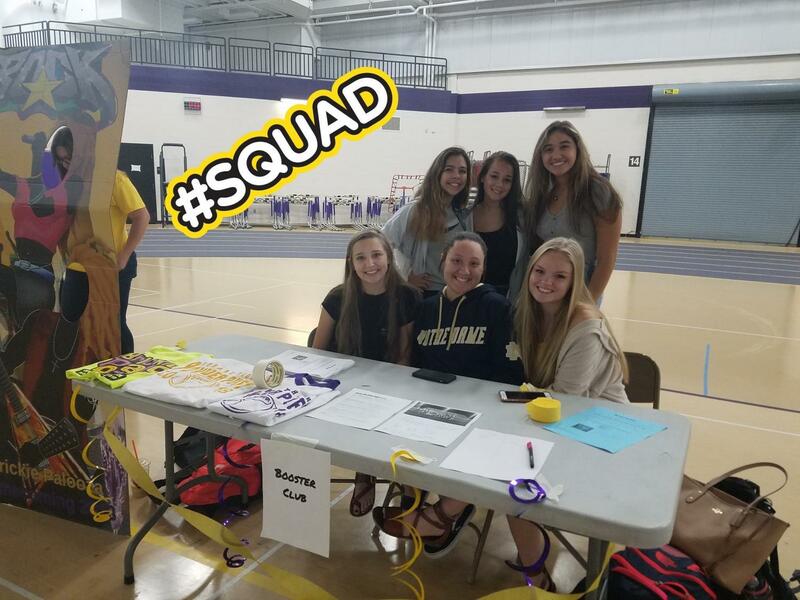 The booster club is all about starting new traditions, if you are a student that has new ideas booster clubs would be a great club for you to be able to share your ideas with. This creates diversity in the school and community. When being a part of this club your ideas are always welcome. As a club, this year booster club has done many things for the school and community. They have hosted fundraisers, dances, and games. The powderpuff game is a flag football game between girls from junior and senior classes. Due to the game being hosted they sold powderpuff t-shirts for the girls to purchase whether they were playing or not. They also hosted the fall homecoming dance. As they hosted the dance, shirts were also being sold during the week. In the interview, Mrs. Torres states “we sold homecoming t-shirts that are purchased by students, staff members, and community members. The club gets a lot of their funds from selling things like the shirts. Booster clubs put together many things for the students. They come up with all of the themes for games, spirit week, and homecoming courts. Spirit week students celebrate their school pride by participating in activities related to the school’s sports teams, wearing school colors and competing in special spirit week contests. Spirit Week is held during the week before the school’s homecoming game. Thursday night before the big day Friday each grade level has a theme to decorate their locker bay and the administration goes by in the morning to judge them and see who did the best. There are a lot of things that come with homecoming week and booster club makes sure all of those things happen. Booster club does a lot for the school itself. During the interview I had asked what the club does for the school and Mrs, Torres states “We build camaraderie amongst students in areas that they wouldn’t think.” By students getting together to do all of these activities it builds relationships and allows students to enjoy their time at school. The club promotes diversity amongst all the students at Hobart High School. When being apart of booster club all of your ideas are always welcome. The club is open to all ideas and even new ideas. New ideas help the club create new traditions and a new way of doing things. Booster clubs are not social clubs. Rather, their main purpose is to develop support and help bring the spirit to the school. 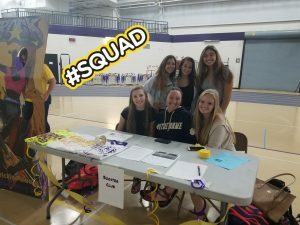 Members of the club are ready to create new traditions for the Brickies.